Ten-Pin Bowling Winners 2017 | LEAP Sports Scotland LGBT History Month Scotland! "> LGBT History Month Scotland! We can announce the winners of our annual Ten Pin Bowling Competition for LGBT History Month Scotland! A massive thank you to everyone who took part in our LGBT History Month ten-pin bowling tournament this year. 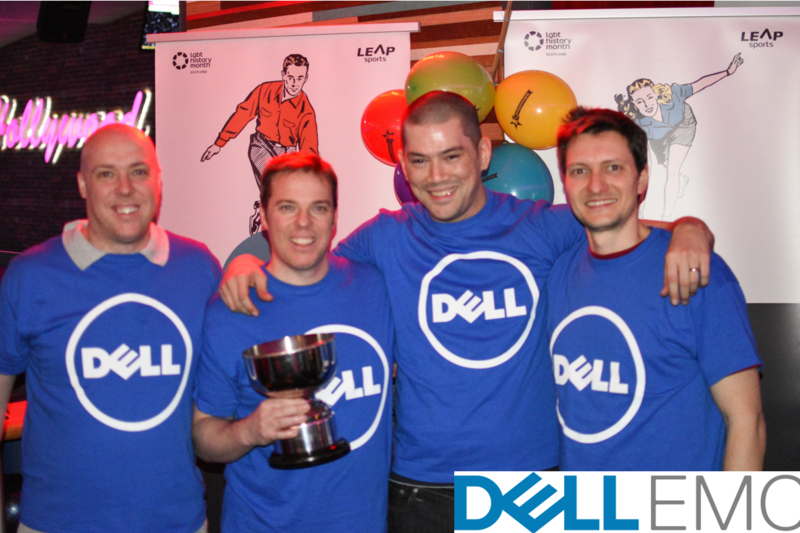 Congratulations to Dell UK whose Glasgow team narrowly pipped runners-up Wheatley Group to this year’s Corporate Cup trophy. Dell become only the second name in 5 years on the trophy following British Transport Police winning the last 4 years. In contrast, the Youth Cup has had a different winner every year going to youth groups in Perth, Dundee, Selkirk and Falkirk. This year, the trophy goes to the StandOUT youth group. Finally, the brand new Community Cup was contested this year for the first time, with Glasgow Frontrunners emerging victorious on the night to take the trophy. Written on 26th February 2017.